If you have the latest game and it’s still unplayable even after all the tricks outlined in this article, you’re probably due for an upgrade. Your graphics card is usually the first thing to replace. Check Logical Increments to see what graphics cards are recommended and how well each one performs. You might also consider upgrading your CPU and RAM, because those have big impacts on overall performance. 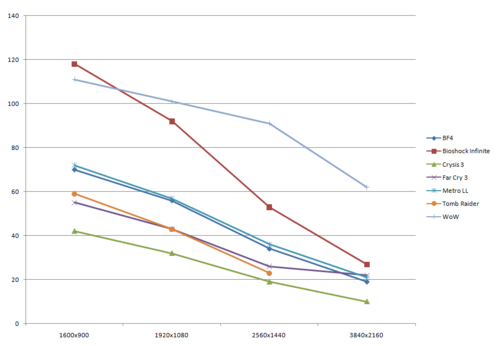 The drop in performance is roughly linear, and it is proportional to the number of pixels your hardware is driving. Thus, if you are not getting an adequate framerate at 2560×1440, then drop to 1920×1080. The number of pixels is reduced by about 44%, but the performance will improve by about 40%. Going from 1920×1080 to 1600×900 is a 30% drop in pixel count, but will give you about a 20% boost in framerate. Lowering the resolution will make your game look more pixelated, but that might be a necessary sacrifice in order to run the game at an acceptable framerate. This is a pretty simple one, and most people will already have this base covered. Running old drivers — the software your video card uses — can be a very large detriment to your FPS, though many people fail to update their drivers to the latest versions. To update your drivers, you must first figure out which video card you have. On Windows, open the Device Manager and check your display adapter. For OS X, click on the apple on the top left corner, then click “About This Mac,” and then “More Info.” Next to “Graphics” you can find what video card you have. For GNU/Linux, either download CPU-G or use your distro’s repositories to get it, and then go to the tab at the top labeled “Graphic” and next to OpenGL renderer is your video card. Once you know your GPU, download the latest drivers from the company’s website, whether it is Intel, NVIDIA, or AMD. Don’t use the card manufacturers site, such as ASUS, MSI, Gigabyte, or Sapphire. Simply find the driver you need, select the appropriate operating system, download the driver and follow the instructions given. Also, NVIDIA’s GeForce Experience and AMD’s Gaming Evolved clients will automatically optimize your game’s video settings based on your hardware. 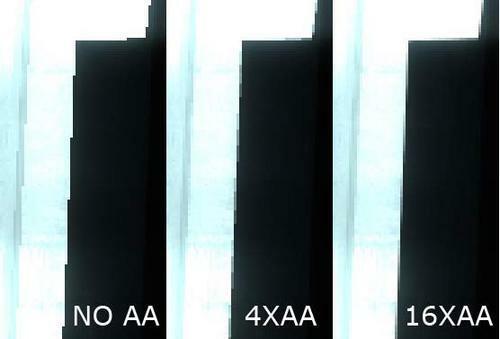 Adjusting anti-aliasing can be particularly helpful for improving sub-par performance. Anti-aliasing smooths out lines around borders of objects to make them less pixelated, which can take a lot of hardware power. In your games settings, first try disabling anti-aliasing altogether and then slowly turning it up to the point that it works while still leaving you satisfied with your FPS. This isn’t something we recommend everyone do unless you know what you’re doing and you understand that you can risk breaking your video card, CPU, RAM, or really, your entire computer. The first thing you should overclock is your video card. Most video card drivers have an ability to overclock your video card, so that is a recommended method, though you might need to find third-party software if your drivers don’t include an overclock option. You can also overclock the CPU and RAM. That’s much easier if you can simply find overclocking settings in your PC’s BIOS. However, overclocking the graphics card will provide the greatest FPS boost. Many programs run in the background of your PC and can use up memory and CPU power. There are many PC optimization utilities to clear out these unneeded processes that could ruin game performance. Windows includes some built-in optimization tools, but there are many others like the Razer Game Booster that can do a lot of the hard work for you.